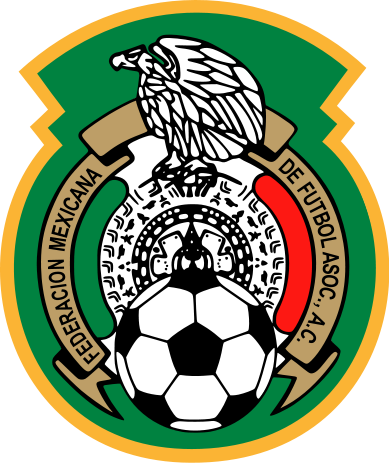 For the Mexican national soccer team, qualification for Brazil 2014 World Cup was supposed to be a breeze. After a perfect preliminary round in which they won every game, a great run of results in friendlies, and capturing the 2011 Gold Cup, there seemed to be no stopping "Chepo" de la Torre's men. This all came crashing down in 2013. This year, the team has yet to win at home and has only managed to score one goal in the Azteca. They have won two games: one away in qualifying and one versus Ivory Coast played in the United States. Three ties at home and one very painful loss to Honduras now has the team in 5th place of the Hexagonal, down in goal differential and fighting for their World Cup lives. Let's rewind to why this should be a great team. First, the youth squads have swept through competition from the U-20 tournament in 2011 (3rd place) to outright winning tournaments with U17 (2011) and more impressively at the Olympics 2012 in a final against Brazil. 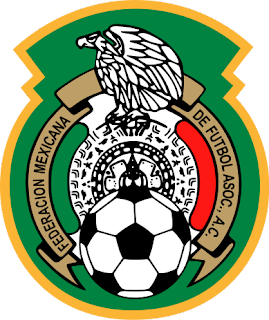 Add to this players like Giovani dos Santos (Villarreal), Carlos Vela (Real Sociedad), Javier Hernandez (Manchester United), Andres Guardado (Valencia), Hector Herrera (Porto), Javier Aquino (Villarreal), Hector Moreno (Espanyol), Oribe Peralta (Santos Laguna), Aldo de Nigris (Guadalajara), among others in the domestic league. Let's not forget that Liga MX is one of 3 top leagues in this hemisphere. But the fate of certain players both domestically and abroad and de la Torre's unwillingness to call up specific players has not gone unnoticed. Carlos Vela, for example, hasn't played for the national team since 2011 due to a bad relationship with Mexico's front office. This in spite of him being a top goalscorer in the Spanish La Liga and having done his early years with Arsene Wenger and Arsenal. Then there is Chicharito Hernandez. He hasn't been the same ever since an injury in 2012 and then another one earlier this year. Chicharito was pushed down the depth chart at United with the transfer of Van Persie and the steady play by Danny Welbeck and Wayne Rooney. He's still an impact player but has yet to reclaim his status as an indispensable, fearsome goalscorer. The back line for Mexico hasn't fared well either. Constant changes and the decline and replacement of the old guard (Salcido, Marquez, Magallon) has the defense in flux. The same usually occurs for most teams but it has been quite painful to see with Mexico. Ayala and Severo Meza have not been convincing enough. Added to the back line is a midfield that just isn't producing. Despite having a relatively youthful group with the likes of Aquino and Herrera, the defensive middle isn't communicating well with the forward or rear flanks or we'd be seeing more goals for and less goals against. Lastly there's de la Torre, Mexico officials unwillingness to let him go earlier, and the style of play he imposed on this squad. De la Torre should probably have gone after the Confederations Cup or maybe even before. He went from a pure possession and attack mentality under Aguirre to a highly-defensive game demeaning to years of development in Mexican teams. For this one only needs to look at the youth squads. Their momentum was halted with the senior team. What can Mexico do now? Win both remaining games, to start. The key game versus Panama October 13 will decide whether they even have a shot at an intercontinental playoff. A loss leaves them pretty much out and a tie gives them merely a mathematical advantage. Even a win, unless it's by a significant margin might not be enough if the Aztecas do not win at Costa Rica as well. 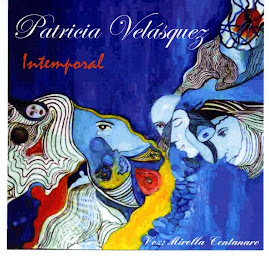 Enter Vucetich. The former Monterrey head coach now has control over this squad. He has a fresh perspective, attacking mentality and desire to bring only the best players to the team, including Vela. He can make this team be as formidable as it can be, as dominant as it should be, and as great as their fans deserve. Failing to qualify for 2014 is not an option. 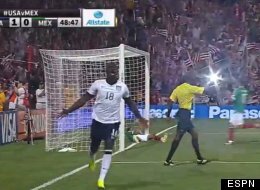 If you are a US Men's National Soccer Team fan, then you remember the second round of World Cup 2010, an ill-fated, 7th minute yellow card for Ricardo Clark and the eventual defeat of Team USA versus Ghana. Bob Bradley was blamed due to his starting of Clark over a much steadier (and fan-favored) Maurice Edu. It was America's second time to be booted from the tournament by the Ghanaians. The first one occurred in 2006 with Bruce Arena's 4th-ranked US team and although Clint Dempsey almost made things interesting, the Americans bowed out of the tournament with only 1 point and one goal scored. Most people will undoubtedly remember Boateng's goal in the 5th minute and Donovan's penalty in the second half. However, it was Gyan's game-winner in extra time that will forever haunt Bradley and still gives him nightmares to this day. His ubiquitous choice of Johnny Bornstein at left back also opened up the most dangerous side of the field for most opposing teams, as we also learned with the 2011 Gold Cup final versus Mexico. So what can Bob Bradley come up with this time around with his Pharaohs? He has an entire country dreaming of the World Cup and players hungry for the tournament and a chance for redemption after the 2010's cycle's games versus Algeria. There was some drama with those matches (3-1 Algeria win in Algiers; 2-0 Egypt win in Cairo; 1-0 Algeria playoff win in Sudan) and it included frozen diplomatic (not soccer) relations between the two nations. 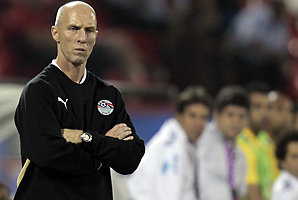 But Bob Bradley has been almost spectacular for the Egyptians during this qualifying round. With an unmatched 100% record in the qualifiers, signs would point to certain victory for his team. But Bradley must be cautious in picking his squad and avoid the Clarks and Bornsteins. His side is heavily domestic-based and reliant on Al-Ahly players, especially at defense. At forward he has some quality in players like Koka (Rio Ave) and Salah (Basel). Should Bradley defeat Ghana it will be twice the victory. One for America versus their African nemesis and two for Egypt and making it to the World Cup after 24 years of absence. And, oh yes, an American coach qualifying for a World Cup with another nation's squad. Hard to beat. We are all cheering for you. If we thought missing Michael Bradley and Matt Besler and Jozy Altidore might cost Team USA a game versus Mexico in Columbus, then Klinsmann's crew proved us wrong. No Bradley? Jermaine Jones stepped up and Beckerman covered for him. Besler is out? Goodson and his experience clogged up Mexico's attack. No Altidore? That's okay, Eddie Johnson plays for us. It was a patchwork team with the surprising addition of Bedoya on the flank instead of Zusi, with Donovan in the midfield and Dempsey a withdrawn forward, but both present. Michael Parkhurst in on the right side and Beasley looking to redeem himself. It worked. It was a tale of two halves. Mexico pressed and controlled the first half and could have scored. The second half was vintage USA in Columbus, Ohio. Two goals by legendary figures: Eddie Johnson and Landon Donovan. EJ had a picture-perfect header that Jozy would be jealous and proud of. For Donovan it's the 6th goal against the Americans' nemesis, and in what fashion. Diskerud provided the fantasy we wanted to see with a self-chip to allow himself to set up a center of death for Donovan. Goal. This game was a testament to Klisnmann and the depth he has built in this squad. Can the US make noise at the World Cup? Possibly, but for that to happen Bradley will need to be with the squad and more discipline will be required. USA will be in Brazil 2014. Today it was fantasy and speed, set pieces to be proud of, a city of Columbus that always delivered, and the scoreline that is as poetic as Dempsey missing his chance to score three for the US. A poem was written tonight and this poetry was Made in America. Four days ago, prior to the US Men's National team's game versus Costa Rica, it seemed like the game versus Mexico to be played today was largely in the bag. One injury and three suspensions later and it seems like Team USA's chances have evaporated. Let's keep it simple: no Michael Bradley means a handicapped midfield. Jermaine Jones is a rugged, albeit impulsive player that can shine at moments and also endanger the team at others. He is the box-to-box player in Bradley's absence and will need to be as disciplined as possible. There are three main choices for Klinsmann to actually replace Bradley in the midfield. First is a conservative option in Kyle Beckermann given his track record as a solid yet sometimes quiet defensive midfielder. The second choice is pure attack in Jose Torres, who never really has convinced fans or critics. Third is youth and question mark in Joe Corona and Mix Diskerud. The former has speed and the latter style. What will Klinsmann go with? Likely Beckerman, although if he has problems in the defense and USA is down in the scoreboard then Klinsmann will go with his favorite Torres. Many of us out there would wish for Diskerud's fantasy and short passing but that's not likely to happen. Corona is also way too young for such a pivotal match and is still a developing player. It is the fact that Geoff Cameron is missing that further complicates things. If anything, he could have taken Bradley's place. However, Matt Besler's suspension also means Cameron would have slid into the center back role. Now Goodson will probably get the nod alongside the LA Galaxy's DP defender Omar Gonzalez. The other vacant position is right back. The once so deep position with Cherundolo, Lichaj, Chandler and later on Brad Evans, is now up for grabs and will likely be manned by Ausburg's Michael Parkhurst, who has yet to see playing time this season with his club. 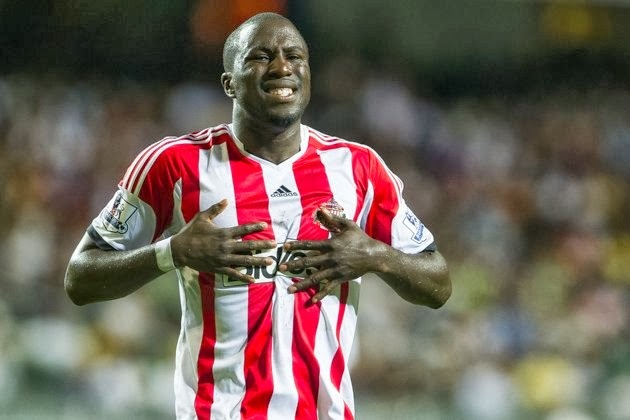 Yet another hole remains with this American team: Jozy Altidore. The veteran attacker and prolific scorer earned a silly yellow card at the end of the Costa Rica game and has left the team without an experienced target forward. Dempsey will get the call and later on either Johnson or Johannsson might enter the match depending on the score. EJ is streaky and Johannsson is an unkonwn quantity internationally. These factors, along with Mexico's dire need for three points and a fresh face with newly-appointed coach Tena, make for a difficult task and a huge boost for Mexico. The only player missing for Mexico is Torrado and the US hardly has the pieces to exploit that fact tonight. History cannot be discounted but statistics always favor change. 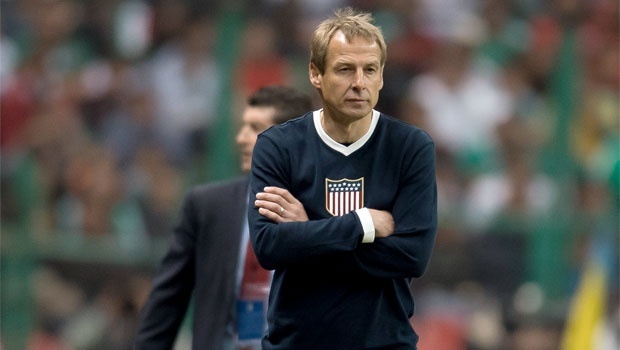 Klinsmann has never lost to Mexico as a player or coach and the US has yet to not win at the Columbus Crew Stadium. Then again, this is an unprecedented Mexico due to their position and the balance of power has shifted in their favor. Expect a tough match and perhaps an expulsion or two, including for the US. The Americans will likely be lucky to escape with a tie and will have to wait until next month to punch their ticket to Brazil. If luck and chance are on their side, a win tonight means an early entry into next summer's tournament. Let's hope for some spectacle and emotion. The scoreboard should always be secondary to quality plays on the pitch. If you missed the first few minutes of the Costa Rica - USA match then you saw something wasn't quite right. First, the US was down on the scoreboard. Okay, that happens. But wait, why is Orozco playing and where is Michael Bradley? It ended 3-1 in favor of the Ticos. The weather, it seems, played its part in today's match as well. Michael Bradley was hurt in pre-game practice, possibly due to the wet conditions. Revenge of sorts, it seems, after the US won the home game versus the Ticos in a blizzard. But what really went wrong tonight? There's no replacing Michael Bradley in a big match. He's the general and the rudder in this team. The box-to-box player that can clean up messes, lob balls in for goals and score clinching strikes himself. Jermaine Jones was alone tonight and Graham Zusi and Geoff Cameron didn't quite cut it. Donovan played well most of the match and diverted attention. So did Fabian Johnson. Indeed, the German-American should have had his goal if it weren't for Navas saving Costa Rica once again. In fact, Navas stopped more than one American attack and nearly stopped Dempsey's penalty. Added to the loss of Bradley in this match and possibly the next is the assured loss of three important players: Cameron, Besler and Altidore. Most notable is Besler, who has been the best defender for the Americans, although he got beaten pretty badly by Joel Campbell tonight. No Jozy means that the in-form player will need to be replaced by Eddie Johnson or Aaron Johannsson, who was cap-tied this evening. What can Klinsmann do versus Mexico. It now becomes a must-win of sorts for a variety of reasons. A win takes them out of any sort of hot water coming from the utter revolution in this field of teams and hopefully out of the dreaded intercontinental playoff versus New Zealand. A win also means the team can win games without Bradley at least at home. A win means the team can regroup and get ready for next summer. A win means confidence and versus Mexico no other result matters. The Mexicans have only 8 points with 9 in play and possibly playing with a new head coach by Tuesday. Their implosion and inability to win at home means they have to do so abroad. There's always Mexican fans in the US and even Columbus is always half and half. Should be an interesting match with many subplots.